*First Lady Michelle Obama has now joined forces with the Partnership for a Healthier America to encourage everyone to drink more water. She is particularly concerned with the level of water consumption among children. According to the Center for Disease Control, one fourth of all children in America do not drink any water throughout the day. In addition to putting together a major advertising campaign, which will include the “Drink Up” logo on thousands of different water products and more, the PHA is asking participants to visit www.youarewhatyoudrink.org to upload photos of themselves drinking water. Participants can also share photos via Instagram using the hashtag #drinkH20. 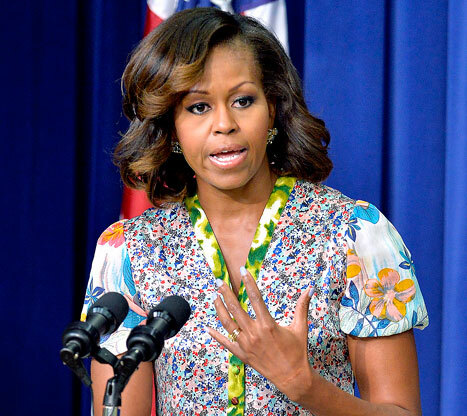 See Mrs. Obama’s special Instagram video below. Will this be her legacy, advising the world to drink water?